Just checking in with the whole Lent thing. Remember that I gave up sweet stuff for Lent – even though I’m no religion but my own? Well, hey, how long is this Lent thing anyway? It feels like it’s been going on forever. Surely 40 days have passed….right? I have not yet succumbed to temptation, and I must say that I am very proud of the discipline that I have displayed, especially with the challenging things that have been happening in my life. It’s times like these when I’m most inclined to turn to the sweet solace of chocolate. And I haven’t. Yea me! Yesterday was particularly challenging. Muffins at the AED training yesterday morning were tempting. The building management brought treats to celebrate our second anniversary of tenancy – brownie bites, little lemon tartlets, other squares of unidentifiable deliciousness. My co-worker had her baby shower, replete with chocolate cupcakes with white buttercream frosting. And at the end of the day, there were leftovers of all these things in the kitchen, so not only did I have to pass them up once, I had to pass them up twice. A hard temptation, successfully avoided. Of course, it didn’t help that when I finally got home last night, Kelsea’s friend offered me pie. Sigh. However, I press on. I am proud of myself that I have resisted the urge, proud of my self-discipline, and that I am faithful to the committment that I have made. 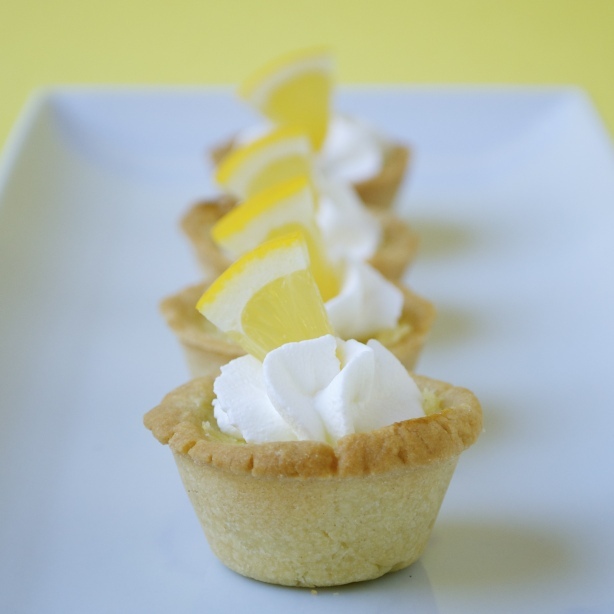 Even when the world is putting delectable little lemon tartlets in my path. That said, can we be done soon? There’s hazelnut milk chocolate out there with my name on it. And yes, probably a lemon tartlet or two.